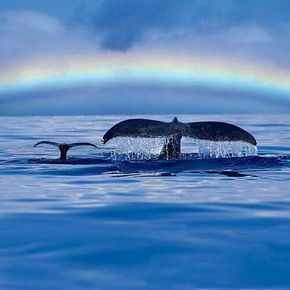 Come gather round, I have a whale of a tale to tell you; about a stove that started out as a fish. 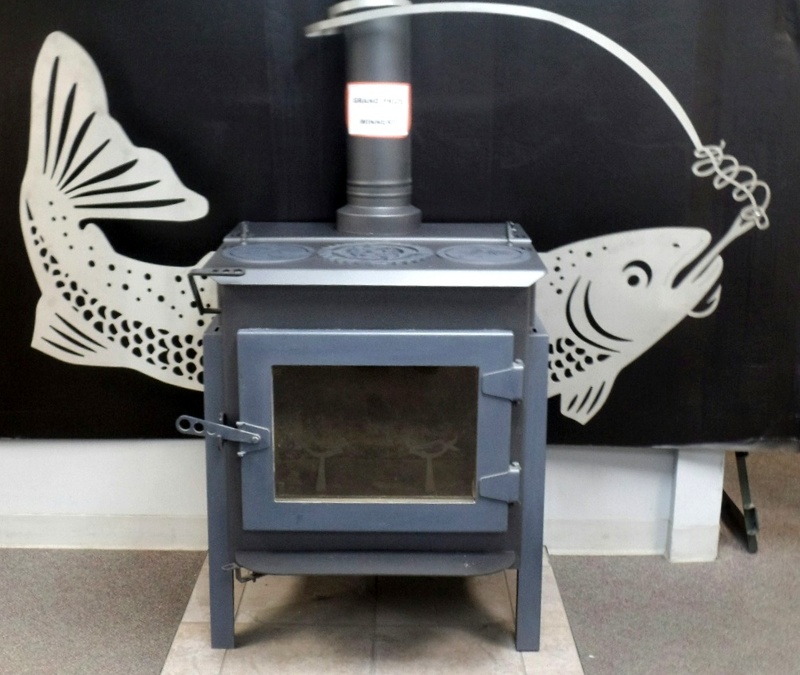 The creative minds at the Woodstock Soapstone Company were challenged to develop a wood stove that not only heated well but was also affordable and environmentally friendly. Steel and soapstone were combined to make a stove that was budget minded while utilizing the unique properties of soapstone to hold and radiate heat. But wait, there’s more! Why not build a stove that can burn for a long time, and use less wood at the same time. Why not build a stove that is unique for each customer by adding design elements that can be customized? Always thinking outside the firebox, the designers at the Woodstock Soapstone Company wondered if a stove could be built that was not only supremely functional and efficient but it also made a real statement in a home. What if the stove could look like, say, a fish? 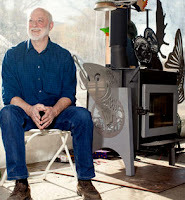 The engineers and designers got to work and made a stove that looked like a huge fish. The Ideal Steel Hybrid wood stove is a real trophy stove, with a grand prize to prove it. (Read all about it in Popular Mechanics) Everyone thought; this is exactly what we had in mind, this is ‘Ideal’. We know not everyone wants a stove that looks like a fish in their home, but this prize-winning stove can be customized with nautical themes. You can have a wood stove that has low emissions, is highly efficient, and comes with a seafaring theme. 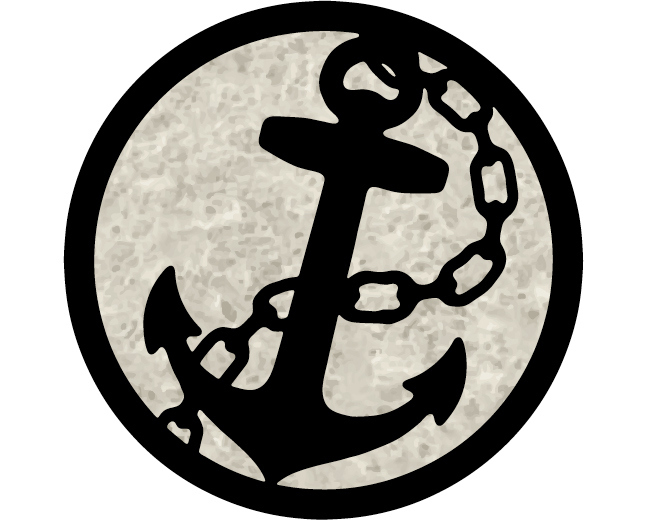 Our June Steal of the Month promotion features an anchor side medallion, sailboat side burners, a compass rose center burner, and whale tail andirons. 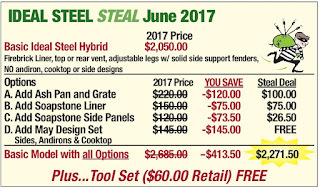 A matching tool set in a fish motif comes with the Steal of the Month purchase at no additional charge. 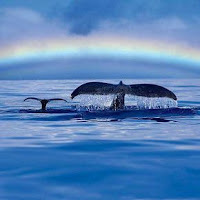 This offer will sail away at the end of June, so don’t delay. Get to the phone and call us at 1-800-866-4344, or reserve your stove by using our online reservation form. 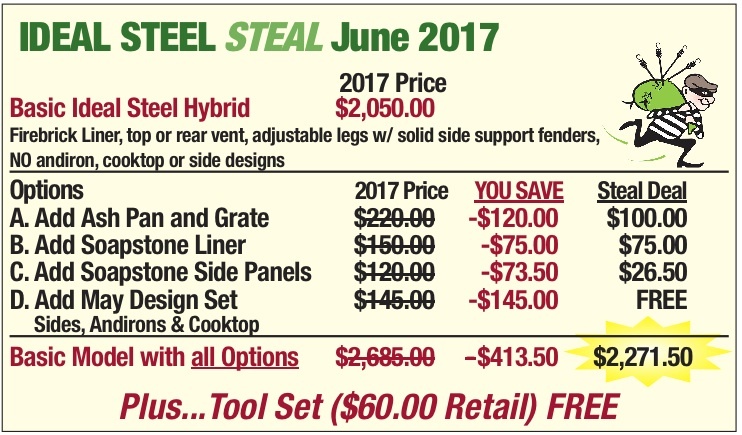 Be sure to take advantage of this Ideal Steel Steal of Month before the end of June to get this great price on this fabulous stove. You too can then gather around your warm hearth on a chilly evening and tell the tale of the stove that started out as a fish.